Along with the flagship P30 Pro, Huawei also launches mid-ranger Huawei P30 Lite in India. It sports a 6.15-inch Full HD display with a U-shaped notch and powered by the in-house Kirin 710 octa-core processor with a 3,340mAh battery that supports fast charging. The Huawei P30 Lite is available in two configurations – 4GB RAM with 128GB storage and 6GB RAM with 128GB storage. There is also a MicroSD slot with a Hybrid solution to upgrade the device storage upto 512GB. It supports 5GHz WiFi, Dual 4G VoLTE and runs on the Android 9.0 Pie with EMUI 9.0.1. For photography, the P30 Lite houses a triple camera set up on the rear which includes a primary a 24MP f/1.7 sensor, an 8MP ultra wide-angle lens, and a 2MP depth sensor. On the front side, it has a 32MP camera that supports various AI functions. Check out the all key features below. Front camera shooting modes: Portrait, Panorama, AR lens, Time-Lapse, Filter, 3D Panorama, Stickers, Capture smiles, Mirror reflection, Audio control, Timer. AI-powered HiVision technology – Automatically identify and display information about objects around you such as pets, flowers and Calorie count of food, etc. 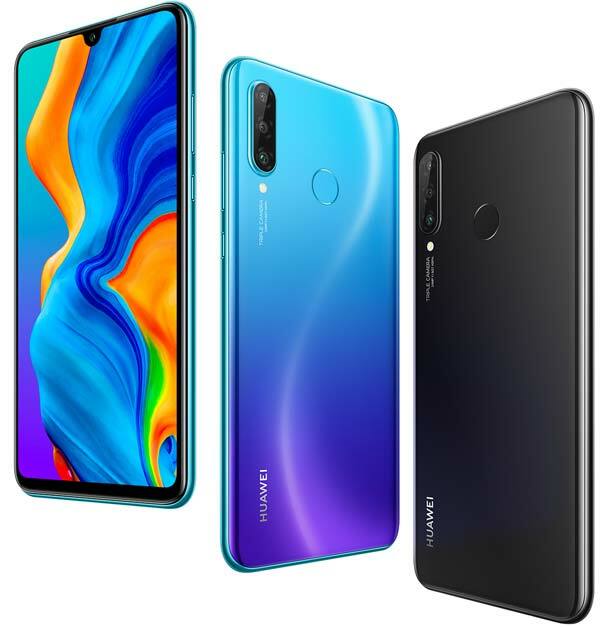 The Huawei P30 Lite comes in two colors – Midnight Black and Peacock Blue and available on Amazon.in starting 25th April at 12 AM for Prime members and 26th April at 12 AM for regular customers. The 6+128GB variant priced at ₹22,990 and the 4GB/128GB ₹19,990. It will also be made available in 120 Croma stores across India starting early next month.